I got into Pinball - but BYOAC never left me. 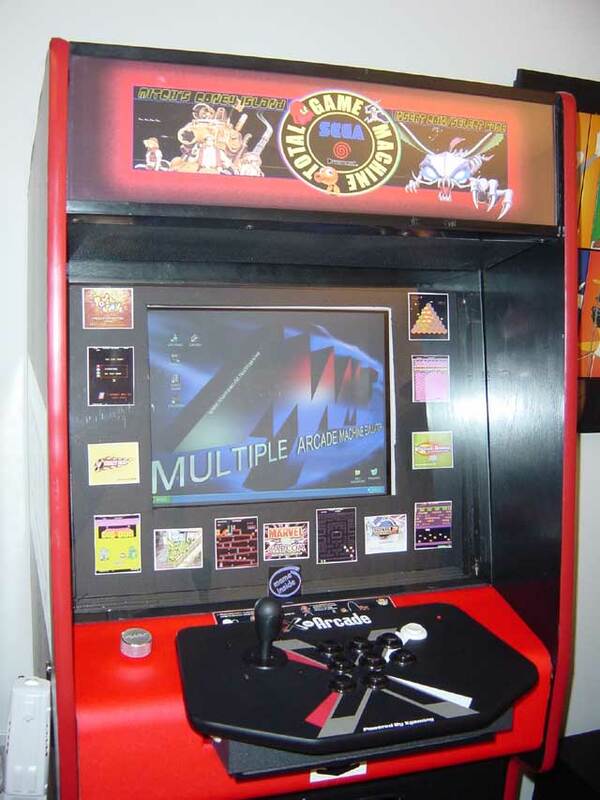 Without this site - I wouldn't have the multiple Mame cabs I built over the years. I need someone to let me know what went on here over the last 5/6 years. Thanks! Ermmm i joined and Lightguns are making a comeback! The site can be defined as just a bunch of open minded dudes who enjoy retro gaming and dudes who love building crap with a sprinkling of guys in the “ain’t no way like the old way” arcade Amish purists camp. Lew you're my Arcades Muse. That was the old Lew. The New Lew is all about fighting the Power. There is no new Lew. There is only Zuul. MameMaster, long time.... Snake moved to Florida and i'm still in the same place. Still have that Pachinko ? It's a lot slower around here these days. I was gone for several years as well (popping in occasionally) due to refinishing my basement taking over my life. I missed it though so now I'm back and *slowly* working on my first project in a long time. Having fun but not having enough time - same old same old. Also, there are a few people still pushing the envelope, which is awesome. Not sure what BYOC is, but maybe it's a couch party and you got to bring your own? Anyhow, back in 2003, when Mamemaster joined, it was a simpler time. No easy solutions. No Arcade1up's. No Encoders. No Raspberry Pi's. Just grinding and spending more hours building than you could ever recoop playing. CRT's was the only game in town. ....I know you've all felt the same shiver that I did the first time I actually figured out MAME and what a "magical" and amazing program it can be. Back in early Jan. 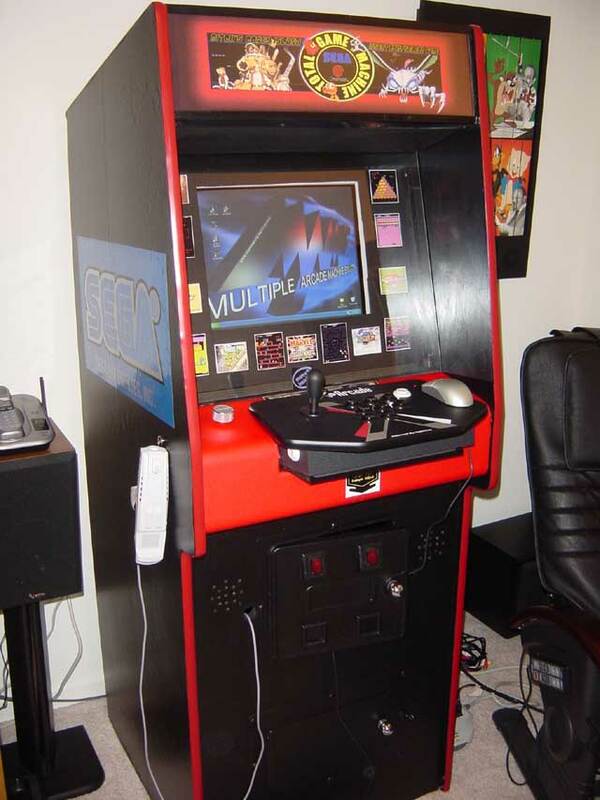 I came across XArcade. I though hmm...that's cool....I have a Playstation (1), Dreamcast and an XBox....that stick would work with them all....cool! After using the stick for about a week...my gears started turning....hmmm...."all I need is an empty cab and I can literally make an arcade machine." Well, within about 3 weeks...one thing let to another and before I knew it I found a local guy in NJ at Basementarcade.com who was selling old/rundown cabs for only $35.00. After we spoke for another $20. he said he would deliver it to me. I won't bore you with all of the details...but in a short time I had all 3 consoles running in the cab.....gaming heaven! Any way, I kept reading about MAME and visited a few rom sites....(with no roms)....and figured ah forget this MAME thing.....it's too complicated. But, being the type of person that I am, I was too intrigued with the concept of 1600+ real arcade games.....well obviously I figured it out. and coming soon a 50's retro stool and XArcade Trackball. Here's a pic of my before (I hope I attached it properly! )....and I've included a web link to Oscar Spinner's web site that houses pics of my "after". Thanks to this "community" for truly giving me hours, days and literally months of gaming joy! Well, the old and new Lew still thinks Time Pilot and Gyruss should be played with a spinner...so I'm still on the fence.
. . . with a few pictures from the link courtesy of the Internet Archive Wayback Machine. Mamemaster - what's up with this machine? Where's it at? I came back last week. There we go, MikeA, validation for the A1uppers. We’ve lost. Eh. He's back in. That's cool. He's been posing all kinds of stuff. He is back in head first. My problem is with Neg posting nonsense every couple of hours. I've decided not to post in the 1up threads unless I have something constructive to say. It's just a waste of time to argue regardless of your position on the matter...you aren't going to change someone's mind. He posts an awful lot though and I don't think we need 8 threads for one line of products. That is a smart idea. Paint it red and most people wouldn't notice.